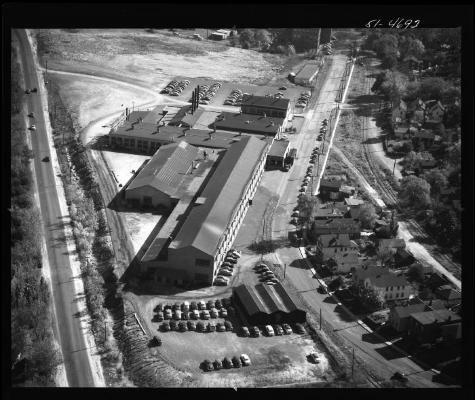 View of a factory owned by Lipe-Rollway, a manufacturer of ball and roller bearings, probably at Liverpool in Salina, Onondaga County. Source: New York State Archives, Aerial photographic prints and negatives of New York State sites, 1941-1957, B1598-99. Box 5, no. 68.